Proposing ways to make life better for everyone, one kind act at a time, A Year of Living Kindly is an optimistic self-help work. 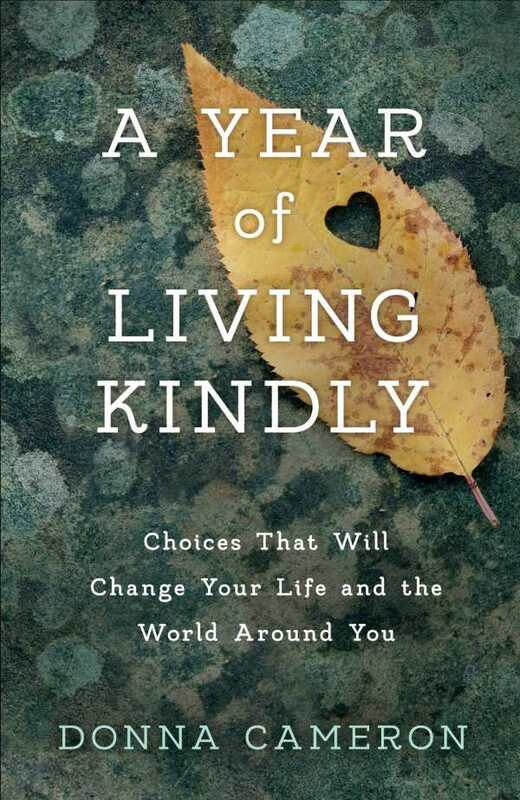 Donna Cameron’s self-help book A Year of Living Kindly is filled with sage advice on living a kinder life, drawn from the author’s yearlong experiment. The book is both a record of Cameron’s efforts to live a gentler existence over the course of a year and a guide for those who wish to do the same. Firm in its conviction that kindness takes practice and that sometimes being kind feels counterintuitive, it chronicles actions as simple as sincerely thanking someone for holding a door open or paying real attention to a homeless person when giving them money—examples that make being kinder appear easy and achievable. Other recommendations range from teaching children better ways to act to being kind at work. Some recommendations, like being kind to animals, seem obvious and only tangentially related to the larger concept, while others, like not complaining about bad drivers and letting things go without comment even when offense is intended, will require more practice. Interactive “Kindness in Action” exercises at the end of each chapter give helpful, specific ways to practice kindness: post a reminder to “extend yourself” in interactions during the day; say hello to a coworker; choose an activity that provides accountability, such as blogging about attempts at being kind. These exercises, however, get buried beneath the extensive self-reflection questions that precede the actual proposed actions. Many of the book’s suggestions are not surprising, though some—like regarding others in the most positive and sympathetic light possible by imagining difficult people having balloons over their head that explain what an outsider couldn’t know—are more unique. The book employs companionable prose while remaining authoritative. It is well researched but also supplemented by personal experiences and examples of kindness that others employed. The personal anecdotes are particularly successful; they lend authority and are convincing in a way that mere suggestions are not. Organized into seasons, sections, and chapters, this persuasive text reads sequentially, as a devotional might, successfully encouraging the regular, habitual use of its methods. It is convincing in declaring that practicing kindness could make the world a better place, and ultimately determines that a year is insufficient for learning to be being kind.